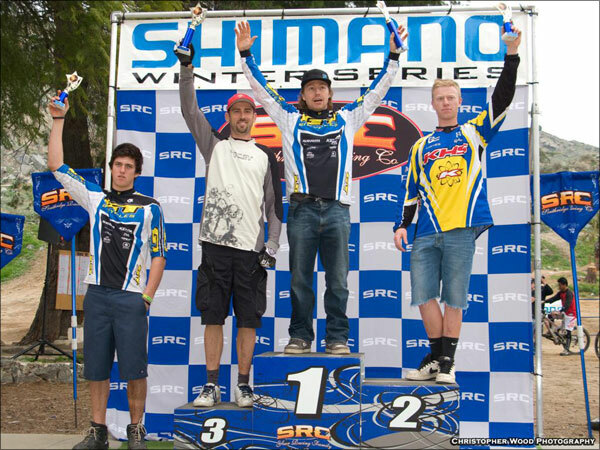 Southridge USA and Don Jackson have been running the popular Winter series for years now. 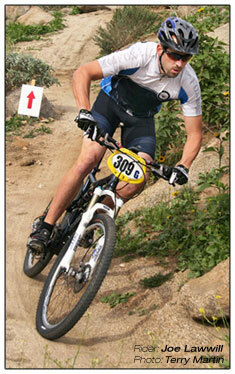 Saturdays are the cross country, Super D and 4 Cross events with the Downhill on Sundays. This year has seen around 200 cross country racers and around 350 riders showing up race after race. The pro DH consistently sees 30-40 pros showing up. 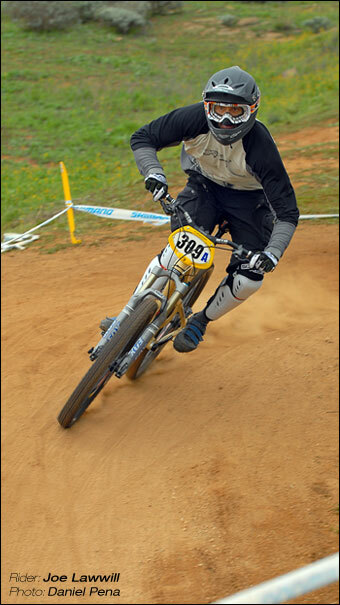 For me the series has been a good testing ground to see how my riding and fitness level has been coming together. I am still trying to get back to form since having a my little girl a couple years ago. Now that she sleeps through the night (most of the time) I am starting to feel human again. My two big goals for this year is doing well at the Seat Otter Classic and then try and give the fast guys a run for their money at the infamous Downieville Classic in late Summer. So anyways this weekend at Fontana conditions were pretty much perfect. Some rain the nights before and cool temps kept the courses fast and fun. Also no wind! I felt really good and went strong on the start and for the first time this series I was first to the top of the first climb. Of course my biggest strength is the downhill so I dropped my seat a few inches and put a good size gap on the field in the twisty downhill section. After that I just kept the gap and then added to it every downhill section. I was trying to save a little for the next days downhill, but probably went a little harder than I should have...whoops. So that makes two wins in a row and two second places. With 2 races to go I am hoping to lock in the overall title at the next race. I got up early and was on the course shortly after practice started. I got 2 full runs in and felt good. I hiked back up the course and found a few slick lines that might give me an edge over the others. I did see Eric Carter come through on a practice run and damm he goes fast...so to the top of the downhill for the race start at 10:30. I watched a few of the guys go off and everyone looked solid on the fast not so technical course. I knew the race would be over before I knew it so I didnt plan to pace myself much. I went hard from the gate and nailed most of my lines. I was a bit tired mid way through my run as the day before XC race was catching up with me. I backed off a bit and caught my breath and rode the last section pretty well and gave a semi strong sprint on the wall to the finish to take a solid 3rd place. Just missed 2nd by less than half a second, but was still a bit over 3 seconds behind Eric Carter. I was happy to keep some of the fast youngs guns behind me in the final results! I keep chipping away time on the winner and hopefully next time I can get even closer.